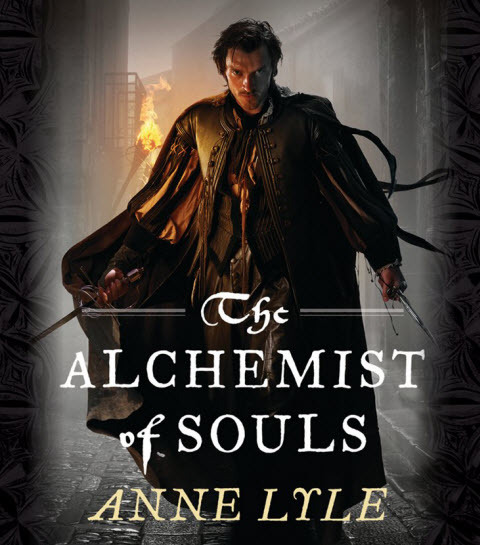 The Alchemist of Souls is set in a quite accurate (except for the “alternate” part) Elizabethan England. It involves personal secrets, subterfuge and political gambits. This debut novel of Ms. Anne Lyle is a tightly packed story of Maliverny Catlyn’s (Mal) confronting a horrific past, a crowded and danger-filled present and a surprising future. The dramatis personæ who populate this story would do Shakespeare proud; it can be a bit complicated to follow who works for whom, what are the people’s real motives and who are traitors. This seems to be challenging for both Mal and the reader. It’s also a bit complicated to figure who the good guys are since everyone has their “state” and personal agendas. Which is to say this book mirror’s the complexities of life in real time with multidimensional characters. When Tudor explorers returned from the New World, they brought back a name out of half-forgotten Viking legend: skraylings. Red-sailed ships followed in the explorers’ wake, bringing Native American goods—and a skrayling ambassador—to London. But what do these seemingly magical beings really want in Elizabeth I’s capital? Mal Catlyn, a down-at-heel swordsman, is seconded to the ambassador’s bodyguard, but assassination attempts are the least of his problems. What he learns about the skraylings and their unholy powers could cost England her new ally—and Mal his soul. The Alchemist of Souls is part of the Night’s Masque series. With Aliens, Sir Francis Walsingham’s spies, theater competition and rapiers at one’s side, what’s not to love? Mal has his past (forced to witness an atrocity perpetuated on a skrayling), Jacob (Cody) Hendricks has hers (she is separated from her family and is, in fact, Jacomina Hendricksdochter trying to make it in a man’s world with her virtue intact) and everyone and his mother are plotting against the skraylings, there are many twists and turns to the plot. Mal is good with a sword and daring but not so brilliant or untouched by the concerns of this world to lose his humanity and vulnerability. Jacomina is brilliant and more than once saves the day. Kiiren seems guileless and open, yet is pushing for his own secret agenda. Throw in a theater company, the (politically correct, yes this gets old) gay couple and a nobility secretly differing on the skrayling question, and you’ll have the same challenge navigating the book as you do the back alleys of the Elizabethan London. That’s both good both a feature and a fault. It’s that very intrigue and plot moves that draw us in whilst having us lose our way from time to time during the journey. I believe that Ms. Lyle could pare down a bit while maintaining the intrigue. Does Gabriel and Ned really add to the story and move it forward? Does Leland and Monkton substantially add? However, this is a minor complaint; I enjoyed the twists and turns of a good story peopled with (mostly) interesting characters. A steady unraveling of pieces of the story parceled out throughout the story via the story itself. It wasn’t trivially easy to get out of difficult spot for our protagonist and his friends. Moreover, when they did get out, it made sense. The twist and turns weren’t just flourishes; they were integral parts of the story presenting a number of surprises. Overall, good and complex characters. There were a number of one dimensional characters, but the main ones held interest. It might even be done better with a few less characters in the story. The writing and dialog was crisp and well presented, especially avoided overdoing the period speech. Beside a slightly too peopled universe and the gratuitous gay couple, what didn’t I care for? I think that about covers it. I listened to the audiobook narrated by Michael Page. One of the challenges I had is that he narrated a book I’ve very recently read, Infernal Devices. I associated the voice with that work. Since Mr. Page tone is unique, it was a bit hard to drop my mindset from that work to this. Soon enough, I became lost in this story and dropped all association. Mr. Page did a fine job narrating the story and did a particularly good job with Cody (Jacomina). The Anglicized skrayling speech of Kiiren sounded little like his native skrayling voice It also sound remarkably like voice of Nute Gunray of Star Wars fame who, himself, seemed to be an Asian stereotype of some sort. Not quite sure where that came from but, while it didn’t fit with his native voice, it did seem to fit with the story. 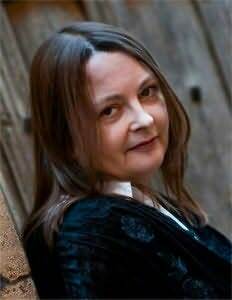 I recommend the book and audio recording; Merchant of Dreams (Book 2 in the Night’s Masque series) is on my TBR list with Prince of Lies (Book 3) queued up as well.